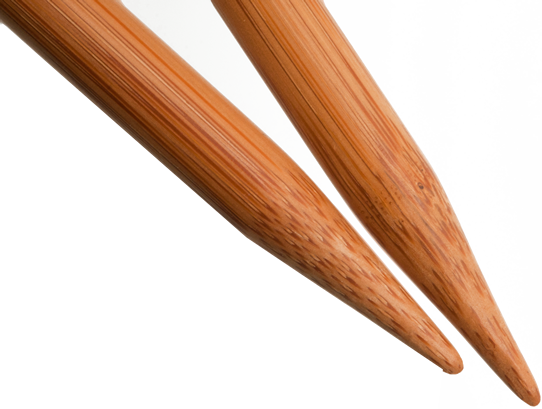 Made of Moso bamboo, these petite 7″ (18 cm), patina single points have precisely tapered, hand-crafted tips. They are just perfect for a narrow scarf, adding an edge to a piece or even teaching kids. The size is permanently laser imprinted on each needle and cap. The patina color is obtained with thermal heat.